MEECA is Growing with Power in Numbers! While the Michigan Energy Efficiency Contractors Association (MEECA) continues working on revisions to Michigan’s Energy Optimization programs, our voice is getting stronger and stronger as we increase our Power in Numbers! These companies put our current membership at 33 company members – and GROWING! Their support helps MEECA deliver on our promise to serve our Core Members: Companies that design, recommend, install or evaluate energy efficiency solutions in Michigan’s residential, commercial, industrial or agricultural buildings. Now is a great time to take advantage of our Introductory Memberships, which are being offered at reduced dues levels for a limited time. As the discussions on revisions to Michigan’s Energy Optimization programs continue and we enter what looks to be a busy legislative session this fall, MEECA will need all the Power in Numbers we can generate. Thank you to all of our new and existing members for their support! Membership Dues or Marketing & Advertising? As a business owner, I understand where my leads come from. As a home performance contractor, I would love to say that none of my leads come from the utility companies, but that is not the case. 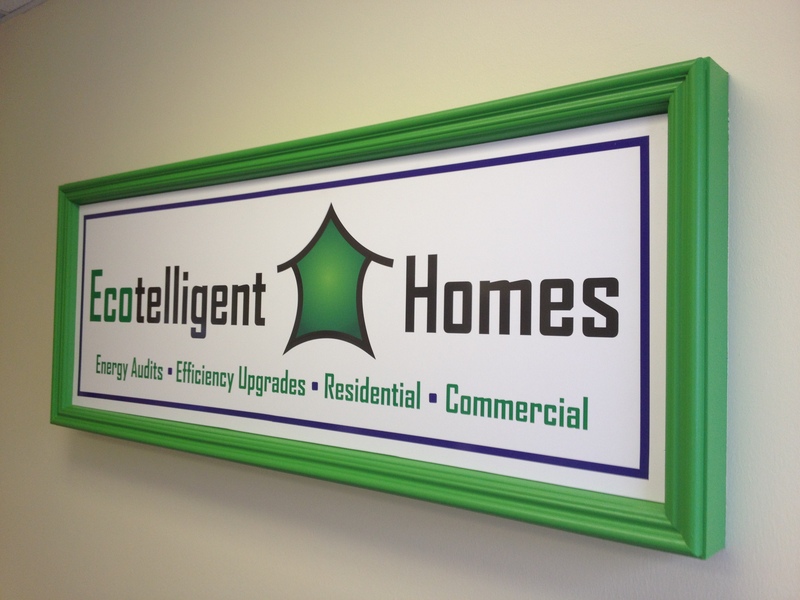 I know that I am not alone in Michigan’s energy efficiency contractor community. The utility companies are providing us with leads, rebates, and selling tools because of the requirements in Michigan’s laws, specifically Public Act 295 which is up for renewal in 2015. This is why MEECA is such an important marketing tool for Michigan’s energy efficiency contractors. When something helps my company to generate leads or increase sales I consider that marketing and advertising. MEECA’s efforts in Lansing are doing just that. MEECA is the only contractor voice to advocate for increasing the utilities’ energy efficiency targets and improving their current energy efficiency programs. This work is helping members generate leads and increase sales. From this perspective, MEECA membership dues are actually a marketing and advertising investment. When one of my fellow MEECA members was asked about our dues, he said laughing, “I pay more than that to the Better Business Bureau.” How much more business do you get from the utility energy efficiency programs compared to the Better Business Bureau? A MEECA membership is not only reasonably priced, especially considering the current promotional rates, it provides more value than many other organizations that charge membership dues and offer meaningless perks and it provides more value than some marketing campaigns that require a large investment and generate minimal returns. MEECA‘s work in Lansing is generating leads and increasing sales for our members. Do not simply think of your MEECA membership as dues. Consider your MEECA membership a marketing and advertising investment. Michigan is currently debating what our future energy policy will be. P.A. 295 is set for reevaluation in 2015. 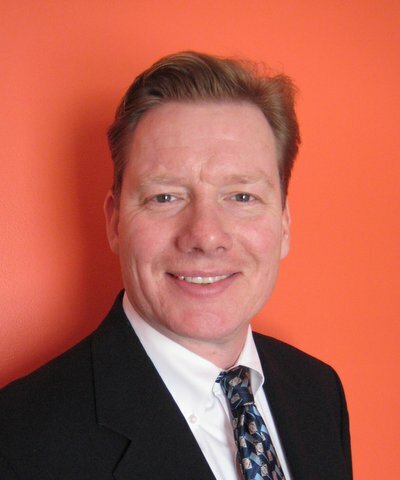 Until now, energy efficiency contractors have not had a voice in those discussions. The Michigan Energy Efficiency Contractors Association (MEECA) was created to be that voice. Join MEECA members, its board of directors and other energy efficiency industry stakeholders for a chance to discuss Michigan's energy policy and other activities MEECA has been working on. Light appetizers and Michigan beer provided. So as an energy efficiency contractor, can you increase your volume by including financing options to your customers? The folks at Michigan SAVES say, “Yes!” In fact, in data they analyzed, total project spend increases 230% when financing is utilized to pay for the energy efficiency upgrades in residential projects. This means you can easily up-sell a $4000 home performance package to a more complete $10,000 package. Their analysis goes further to show that the lower the interest rate, the higher the overall sale gets. Michigan SAVES launched a one-of-a-kind financing program on July 29th, 2014 announcing a 0.9% interest rate for residential energy efficiency upgrades. There is no way residential energy efficiency contractors cannot up-sell their clients with such a program unless…they do not use this very easy to access financing program. Utilizing buy-down funding from Lansing Board of Water & Light and Consumers Energy, MSU Federal Credit Union is able to provide energy efficiency loans to qualifying residential customers (FICO above 640) to purchase energy efficiency solutions. Your customer not have good credit? No worries, they would then most likely qualify for other Michigan SAVES financing at a very competitive 4.9%. Michigan SAVES reports a 70% loan approval rate. Another fantastic feature of the 0.9% loan product is for loans valued at more than $5000 the term can be extended to 10-years. This will make whole-home performance a very attractive value proposition with the strong likelihood of an upgrade project making homeowners cash-positive in a very short period of time. And for those contractors that come across customers with poor credit, Michigan SAVES now offers an Opportunity Loan with a slightly higher 6-9% interest rate looking at the customer’s entire financial picture, not factoring in FICO scores in their approval process. This program is underwritten by the Opportunity Resource Fund. With this full spectrum of financing options, Michigan energy efficiency contractors have multiple tools to increase their project sales and their overall revenue. Visit www.MichiganSAVES.org for more information of contact Todd Parker directly at (517) 484-6474 or registration@michigansaves.org. DTE recently launched two innovative technologies that may have a significant impact on Michigan’s energy efficiency industry. The first is an iPhone/iPad/iPod app that is called DTE Insight the second is an Online Rebate System designed for DTE Home Performance Trade Allies. This app when downloaded onto your iOS device, will then be able to give you real-time electric usage data, “…at your fingertips,” according to DTE’s Insight webpage. Linking your device to your home’s advanced meter via a third device called an Energy Bridge, you can see the real-time energy load and then compare to historical energy data now much more easily accessible. 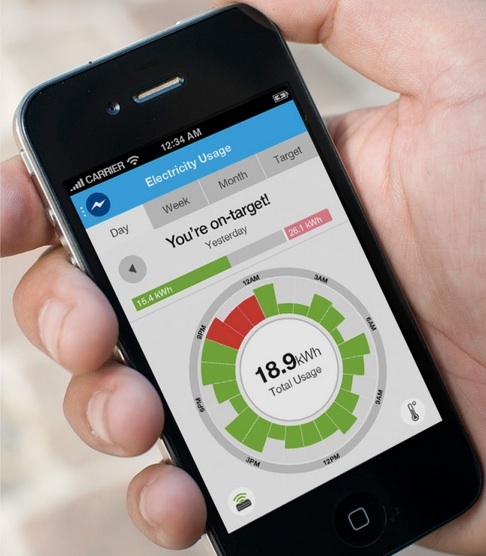 In addition to providing real-time energy data, the DTE Insight app will show ways customers can save energy and will trigger the competitive side of energy conservation with energy challenges that can soon be shared with friends. All of this will certainly help inform customers who badly need to become more aware of the impact their personal energy consumption has to their health, safety and checkbook. After DTE fully installs the necessary advanced smart meters, which is the backbone of the DTE Insight technology, and have the Energy Bridge device truly connecting the iOS device with the advanced meter, customers should be more enthusiastic about wanting to improve the energy performance of their home and invest into energy efficiency upgrades. This hoped for uptake in energy efficiency upgrade work will lead to increased processing of rebate applications which is where the Online Rebate System comes into play. DTE in late-July launched their Online Rebate System (ORS) application intake tool. This web-based tool will provide for streamlined processing of Home Performance customer rebates, which should increase overall customer satisfaction – a real goal for utility-based efficiency programs. For DTE Home Performance Trade Allies, starting on July 22, 2014 the ORS is the ONLY way to way to reserve Home Performance rebate funding. Starting September 1, 2014 the ORS is the ONLY way to submit Home Performance rebate applications. After September 1, no paper reservations or applications will be accepted by the DTE Home Performance program. For Trade Allies this change will cause a shift in operations. For some, they will now have to double enter data collected in the field by technicians who collect necessary customer and project data using the paper application that then will need to be uploaded into the ORS back at the office. Or, Trade Allies will now have to invest into mobile technology to equip their field technicians to upload the customer and project information directly into ORS. Some Trade Allies are already equipped with mobile technology that connects to the internet (necessary for ORS) while other companies will need to consider such investments. Additionally, Trade Allies will need to consider when is the best time to actually fill out the rebate reservation form in their Home Performance sales process. Completed it before making the final pitch will provide the actual projected rebates to the customer – guaranteed. Where utilizing an internal rebate estimating tool will not guarantee those rebates for the customer like completing the ORS reservation form will. Trade Allies can access the ORS by going to MyDTEProgram.com and then enter their username and password to access the system. To get a ORS username and password DTE instructs to contact your account manager. Should you not know your account manager, feel free to contact Jay Karowski at (517) 768-6312 or Jason.karowski@icfi.com or Cassie Brown at (313) 568-5259 or cassie.brown@icfi.com. Certainly, for paper-based Trade Allies the requirement to use the DTE Online Reservation System will cause a bigger disruption in operations than for those companies that have embraced the use of mobile technology. But as we can see with technologies like DTE Insight, embracing mobile technology will have an impact on the energy efficiency industry. To join MEECA please complete our Membership Application. For more information please contact Brindley Byrd at 517-203-9180 or brindley@meeca.info.